One of the most exciting parts of being an actress (or musician) is getting to embody different personas through the use of costumes, makeup, and hairstyles. Unlike the rest of us, for whom dramatic changes in appearance take too much effort to happen frequently, celebrities have access to dedicated teams of professionals who can completely change their looks for a particular role or event. It isn’t always the most natural-looking effect. However, the 12 ladies below haven’t yet struck upon a hair color that doesn’t flatter them. See if you can choose a favorite! We all fell in love with her as a redhead in Easy A, but in the years since, Emma’s proved that she looks just as cute and charming as a blonde or brunette. In Mean Girls she fooled us into thinking she was a natural blonde, and then did the same with red hair in The Notebook. By the time Wedding Crashers rolled around, we realized Rachel looks naturally beautiful with any color hair. 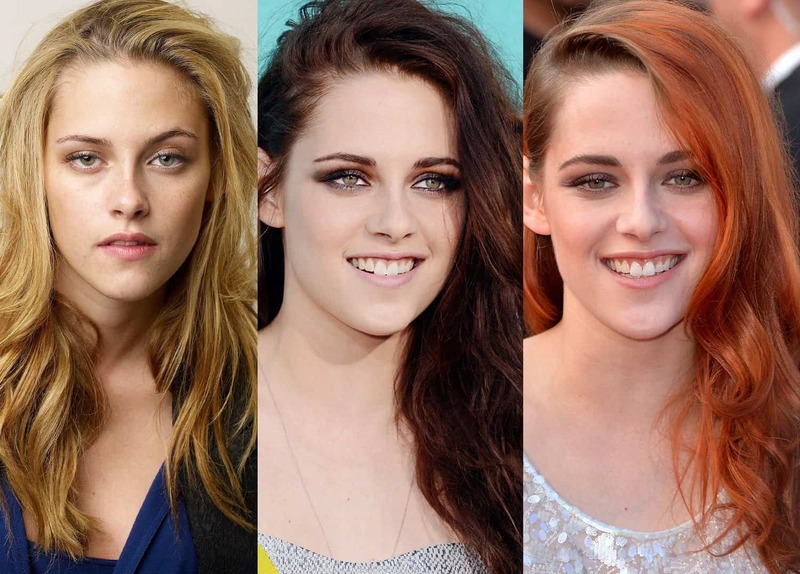 Despite her years as a brunette in the Twilight franchise, Kristen Stewart’s natural hair is actually closer to the blonde she rocked in On The Road. Her reddish ombre, while short-lived, was just as great a look. The stunning star of The Rum Diary has recently traded her signature blonde locks and red lips for a smokey eye and almost-black hair. No surprise, she’s just as beautiful. We’ve always known her best as a blonde, but Scarlett’s turn with auburn hair in The Avengers started a trend we’re definitely okay with. No matter the hair, Scarlett is always exquisite. The West Coast songstress known for her raspy voice and vintage style has another unique trait: ever-changing hair colors. 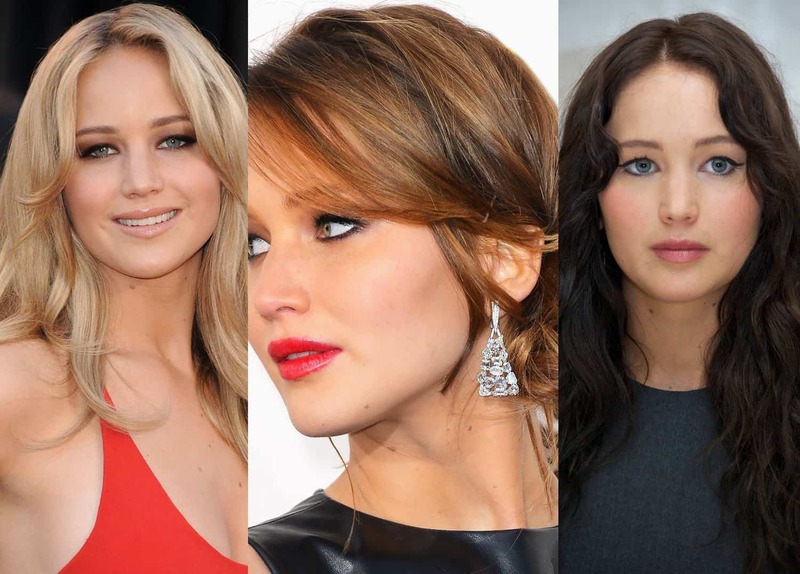 She started her career as a blonde, and has since transitioned slowly to deep, black tresses. 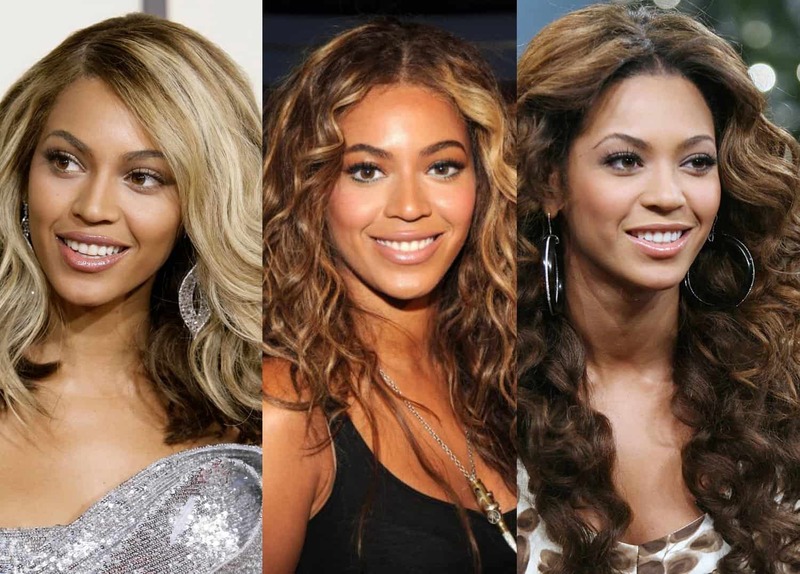 Though we all seem to focus on her fashions, Beyonce’s hair shouldn’t be overlooked. Her changing hues may not be as dramatic as some, but there’s no doubt she’s as flawless as a blonde as she is a brunette. When you’ve got a face as strong as Olivia’s, hair could almost be an afterthought. Luckily, she’s kept us on our toes by frequently switching it up. We all remember her as brown-haired Mary from 7th Heaven, but Jessica Biel’s been more than just a brunette. She even spent a little while as a platinum blonde! Throughout her career, Rihanna’s rocked countless hairstyles, experimenting frequently with length, texture, and a whole rainbow of colors. America’s sweetheart won us over first as a blonde, but truly stole the show with her dark brown hair from The Hunger Games. Can you pick a favorite? We can’t! 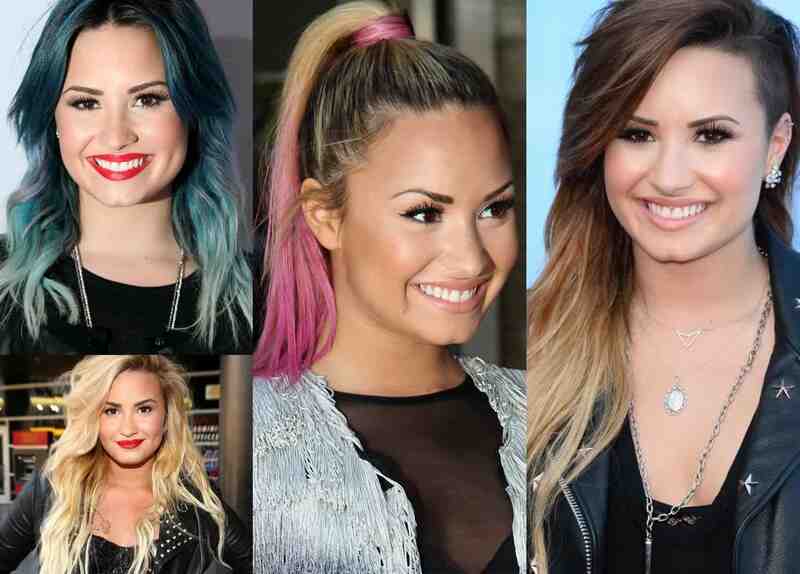 The definition of a true chameleon, Demi has had practically every hair color under the sun, from blonde and brown to Crayola hues of blue and pink–and she looks amazing every time.